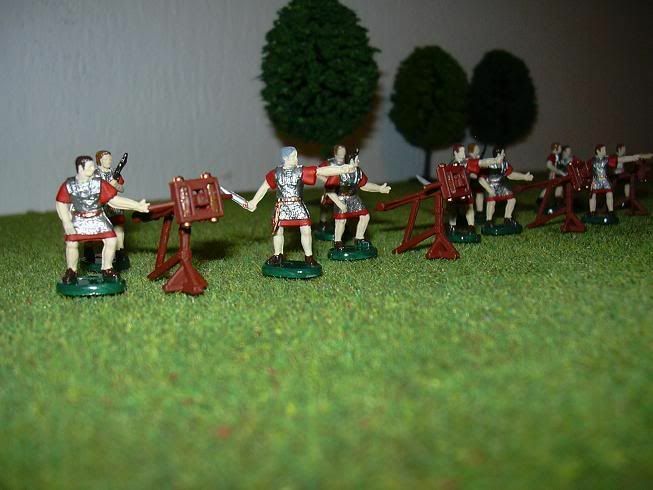 Here are some pics of my Roman scorpios. 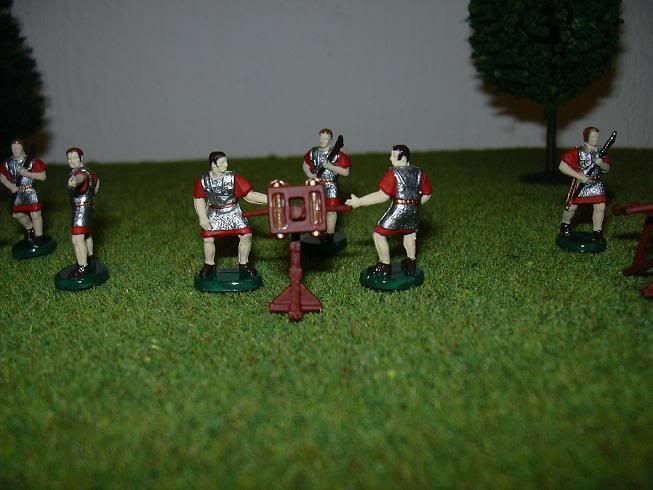 The Roman legions used light and heavy artillery in wartime. 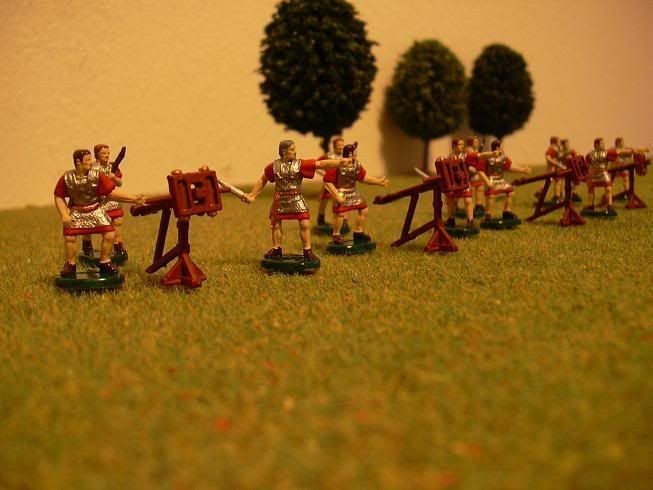 Heavy artillery, like catapults and onagers where mainly used in sieges. 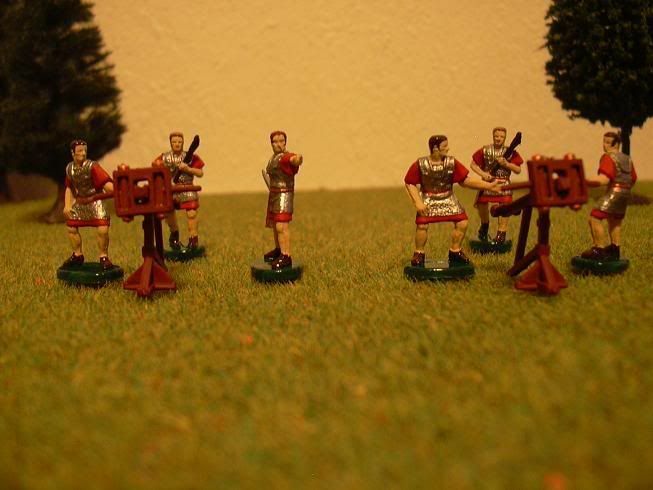 Light artillery like carrobalista's and scorpios where used on the battlefield. 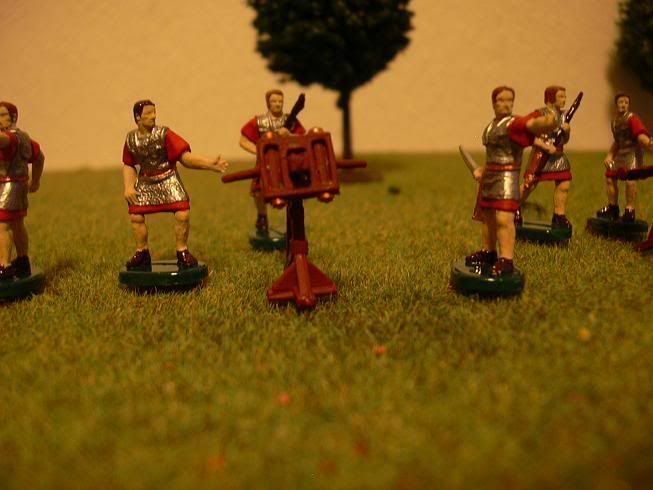 This artillery usually had a devastating effect on the enemy troops and its moral.